A valuable and comprehensive guide for parents and teachers of children on the spectrum aged 8-11 (or younger or older, dependent on the child’s emotional development level). As children of this age are growing into their personalities, difficulties faced by the child can become increasingly apparent. This guide gives examples of these difficulties in the form of problem behaviour the child may present with, along with suggested solutions to assist the child in gaining confidence and valuable life skills, such as compromise and anger control. Although I was a bit taken aback by the price initially it was worth every single penny as my daughter (7 years old) has read it from cover to cover several times in just the couple of weeks that we’ve had it. She connected with the vast majority of the book and although I’ve been proactive about her Aspergers, read a lot and worked with my daughter to understand as much as possible, this still gave us tools to learn and understand more – in particular the matrix at the end which addresses how each different circumstance makes each individual feel – we are making our own matrix so that my daughter has a visual explanation of the many, many different situations that make her feel uncomfortable, frustrated, angry, anxious or ‘explode’. 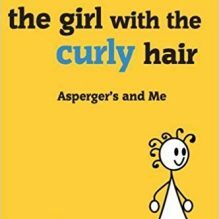 Completely recommend for any girl with Aspergers – a lot of it is relatable to boys as well. 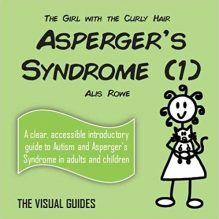 in This book Alis gives ideas and advice on how Aspergers affects the age group from 8-11 years old once diganoised and the problems this age group have at this time. there are some great diagrams in the book on how parents and the child themselves can help understand themselves better. our girls older sibs have been reading this as well as all of us ,this is such a fab account understanding and help for our little Aspie and her sibs . We loved the visual guides to understanding ASD. It really helped us understand how my daughter experiences the world and she said it helped her feel less lonely. The tips and strategies section was really practical and helpful. My daughter is almost 11 and struggling with school and understanding relationships. This book has given an insight into why situations may be difficult for her and how best to deal with them. Another brilliant book from Alis! This book has so much brilliant information & advice which is done so good to understand. So glad I bought it. This book is essential for parents and teachers. Having read it I feel that my aspie girl is not alone and the thought processes she has are shared by others. Alis what would we do without you and your wonderful writing! Fantastic book with a really positive attitude to ASD, looking forward to going through some of the pages with my daughter. As a parent of a suspected ASD daughter, I want to learn all the ways I can to help her. This book has been brilliant in helping me understand why she is constantly shouting etc. I gave 4* as I wish it was so much longer, I feel it’s the tip of the iceberg and I have more to learn! have been informally researching about Asperger’s in girls for nearly 3 years. Thought I had read everything but this was a really simple, informative guide. Our daughter is 8 and this book could have her name written all over it: to say she loves reading is an understatement, she likes to be on her own etc… Thank you for explaining to us that she has no ‘ brake’ system and goes from calm to very excited or very sad without going through the various paces that usually lead you to these emotions. Makes understanding our daughter’s needs a lot easier. Have bought the guide to Puberty and this should also be an ‘ interesting’ time. I have just been reading this book with an 11 year old girl. She (and I) found it an amazing tool for opening up a conversation and talking about the the things she finds difficult in her life and also to learn about strategies to help her with difficult times. It was a great comfort to her to realise that how she feels is not so unusual. I heard a new word a short while ago. “Diffability” I love it. It highlights my belief that Aspergers is not a disorder just a different approach to life. It’s time the neurotypical world was educated about this. We don’t all fit the same mould. This book is worth every penny. Another wonderful and insightful book by the incredible Alis Rowe. Her work is always so clear and very solution orientated. Not only does it highlight common observations, but always gives ideas for support and help in everyday life. It really is a tool box and a “must have” if you have a child with ASD in this age bracket, or indeed deal with children with ASD at primary level. Thank you Alis, another gift to the world of NT and ASD communication! I bought this book as a fellow Aspie, so I might be able to understand my childhood more and for research for the children’s books I am writing. I always thought I was just shy which was why I found it hard to fit in, make friends and read in class. Now I know from this that it was that Asperger’s makes it hard for children to understand how to make friends, they are confused as to what to say and do. So, thank you, Alis, for this book. This is a beautifully presented guide with examples of typically difficult behaviour in school and at home, with wonderful solutions presented for each! This is perfectly illustrated for parents, carers or teachers to read alone or share with the children (recommended). Fantastic book. My very nearly 8 year old and I sat and read through it and agreed on trying some of the things in the book. It is great and visual so he was happy to read through it without it looking like homework!